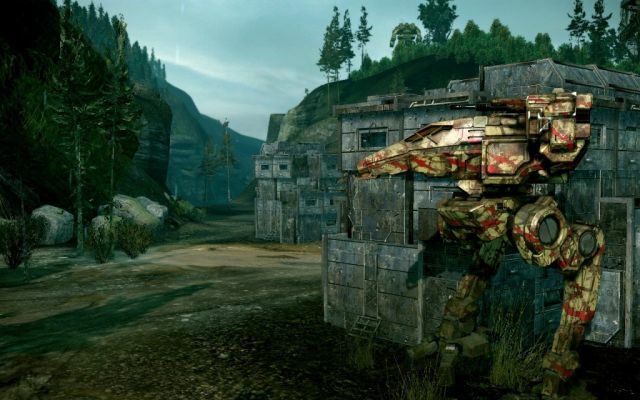 Mechwarrior — The War Dolls - Girls Game Too! This is a story I wrote as a prologue for an “A Time of War” roleplaying game I just started GMing. Two of my four players are pretty unfamiliar with the Battletech/MechWarrior setting, so I thought I’d write up something to introduce them to to setting and give a little background on where their regiment stands. The Commando crashed through the trees at a dead sprint. Branches and trunks shattered with sharp cracks as the 25 ton war machine rushed through the forest at nearly 100 kilometers per hour. Inside the Battlemech’s cockpit, Kay was boiling in her own sweat. Humidity fogged up the screens on her instruments and moisture collected on the inside of her cockpit canopy, dripping down in long, thin rivulets that streaked the armored glass. “Delta Seven, aye.” Power leaned back into her Raven‘s command couch and looked around her at the deserted prefab buildings of the small outpost. The distress call had gone out four days ago, and the Renegade Suns were the first boots on the ground, half a week late to be of any use. Now the entire colony was a ghost town, with no sign of what had happened to the people here except a few open doors, swinging in the wind. She felt naked without any infantry support clearing these buildings, but the Suns had been hired to be first responders, not garrison troops, so their only infantry platoon was securing the area around the dropship to make sure the ‘Mechs had available transport in case they needed to be somewhere fast. The low thrum of the fusion reactor inside the light ‘Mech purred through her spine as Power throttled up to a slow walk, wary of ambush. Her Raven, designed for recon work, was small and lithe, and with its Guardian ECM Suite blocking enemy sensors she felt like a ghost haunting the graveyard of the colony. Her own sensors still registered blank except for the distant blips of the rest of Viper lance, spread out throughout the forest and mountains surrounding the colony. As she watched Viper One, Captain Donaldson, move towards another small outpost of prefabs half a klick away, her map flickered and her sensors went dead. “Hold up. This is Viper Three, I’m experiencing some sensor trouble. Is anyone else getting this?” All that answered was the hiss of static through her comms, and a chill rushed through her. She’d just entered into an enemy’s ‘Mech’s ECM bubble.